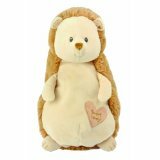 If your children are like mine, they LOVE stuffed animals to cuddle with, play with and have as friends! My son would fill his whole room with new stuffed "friends" if he could! Special Delivery: Fresh from the neighborhood stork, inspired by our Bundles of Joy, each of the Special Delivery products are "Filled With Wonder" and made from the finest, silkiest, most luxurious fabrics. From their Little Puffy Plushes, Mama Baby Musical Lamby, Huggy Pals and Plush Playmats, Special Delivery is sure to please every new Bundle of Joy! Eric Carle: One of the most celebrated children's book authors/illustrators of all time, Eric Carle's memorable stories and colorful characters have inspired their line of products, featuring Stacking/Nesting Blocks, the Color Me Caterpillar and many fun yet educational gifts, sure to become children's favorites. 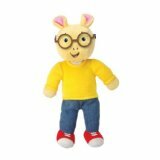 Arthur: Arthur has been a great friend to children worlwide for over 35 years, now children can once again hug and read about some of their favorite friends. TrayKit: For the mom who has everything, but can't seem to get the kids settled in during long or short trips, TrayKits is the perfect gift. TrayKits is the all-in-one kid's travel carry-on backpack and play-tray solution.